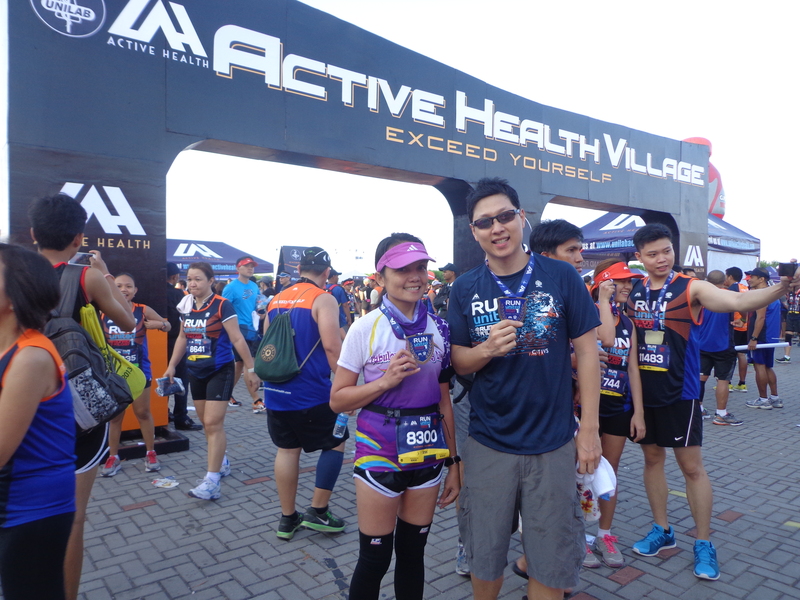 Last March 16, 2014 was the first leg of the Run United Trilogy of Unilab Active Health. 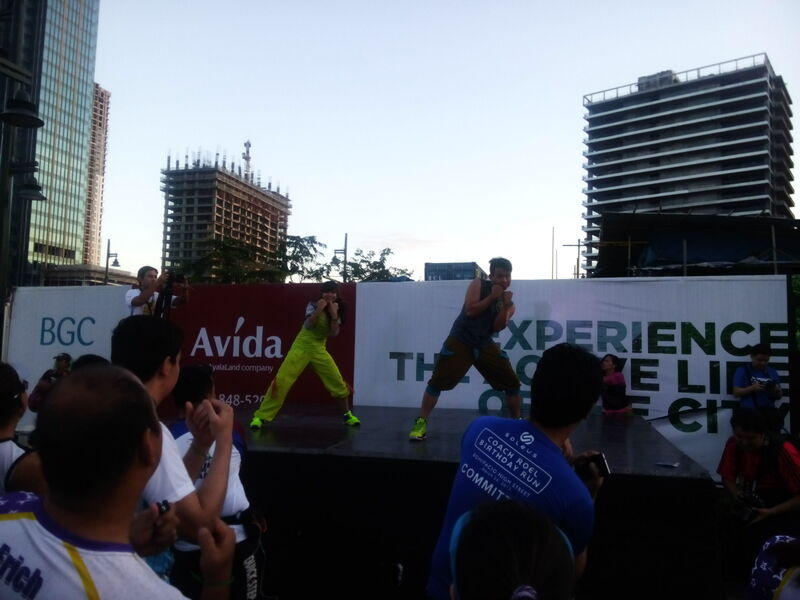 The event was held at SM Mall of Asia ground. 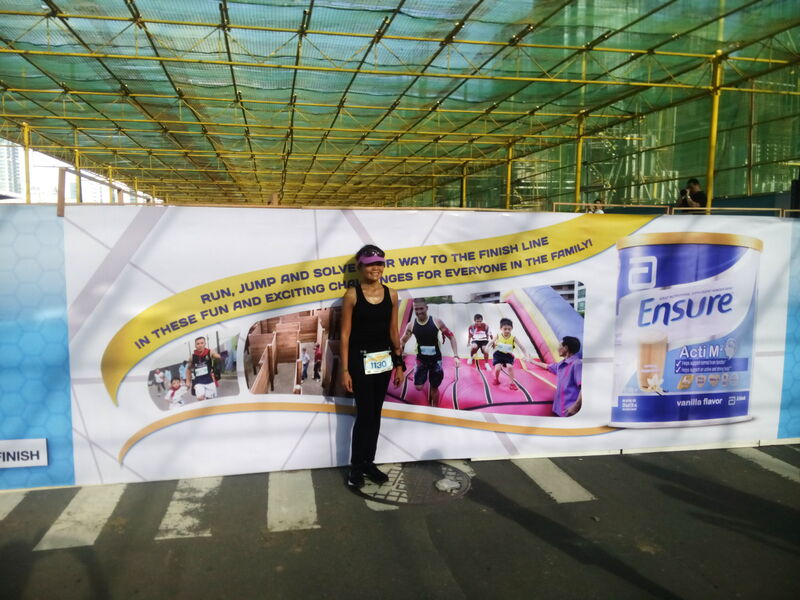 That was my 8th half-marathon run but to tell you the truth, I am super nervous for that event as I am afraid that I will be sick again like my last 21K run. As my usual work schedule, I have a shift the day before race day until 10pm. To avoid any hassle in my sleeping pattern, I slept in our office loft as it was very cozy there and I thought that I would have a good night sleep. As a nervous as I am, I become restless, I bumped my head in the headboard while I was arranging the pillows (yeah I admit, I’m a jinx every time I was sleepy and nervous… hehehe) causing a large bump on my head (facepalm). I fall asleep around 11 pm due to dizziness, I think. Hahaha. 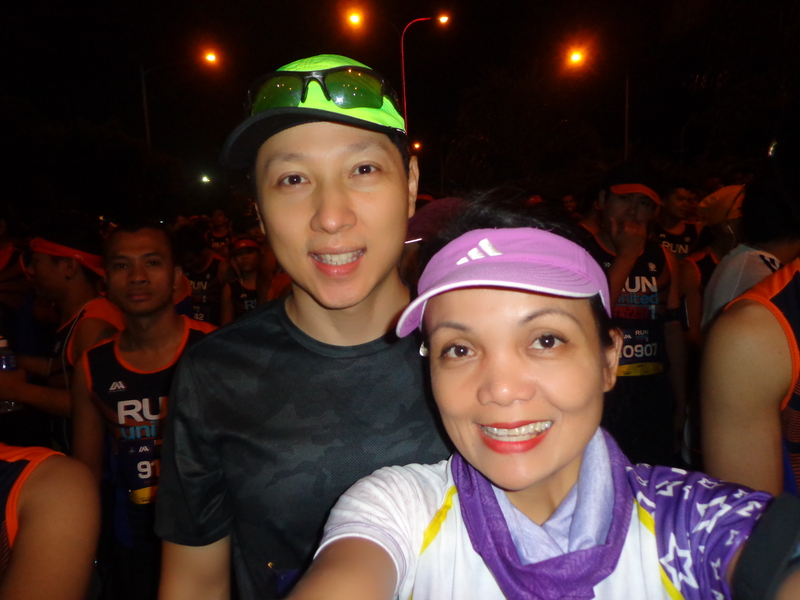 At the starting line before the gun start with my running buddy, Ino Lao. The race started exactly 4:00 but as we belong to the second wave, we have to wait 7 minutes before we start to run. As the second wave started, my nervousness diminished. 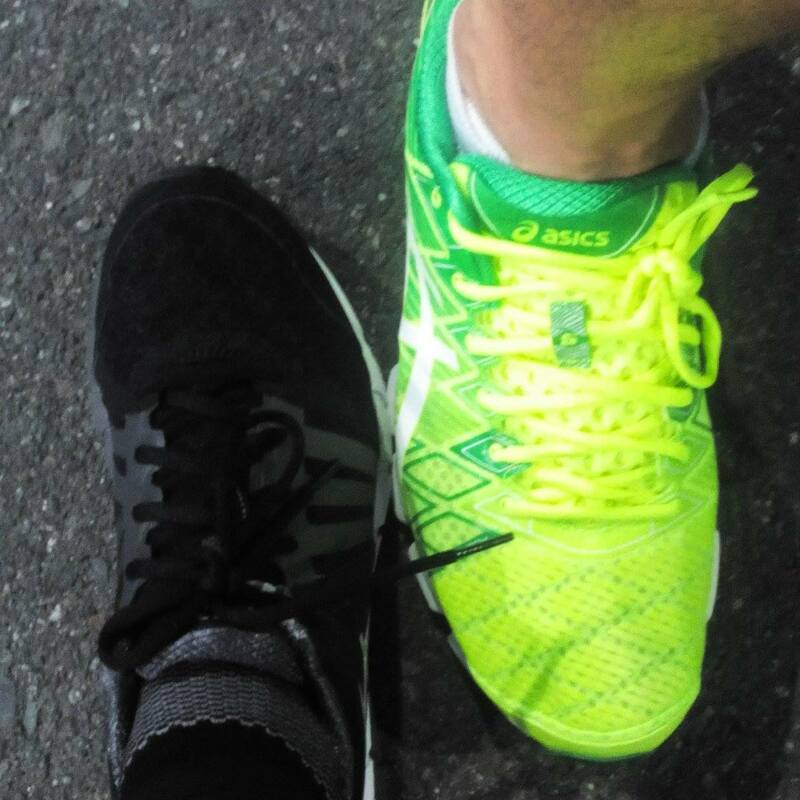 It was replaced by eagerness to run fast as Ino and I want to reach the first wave. 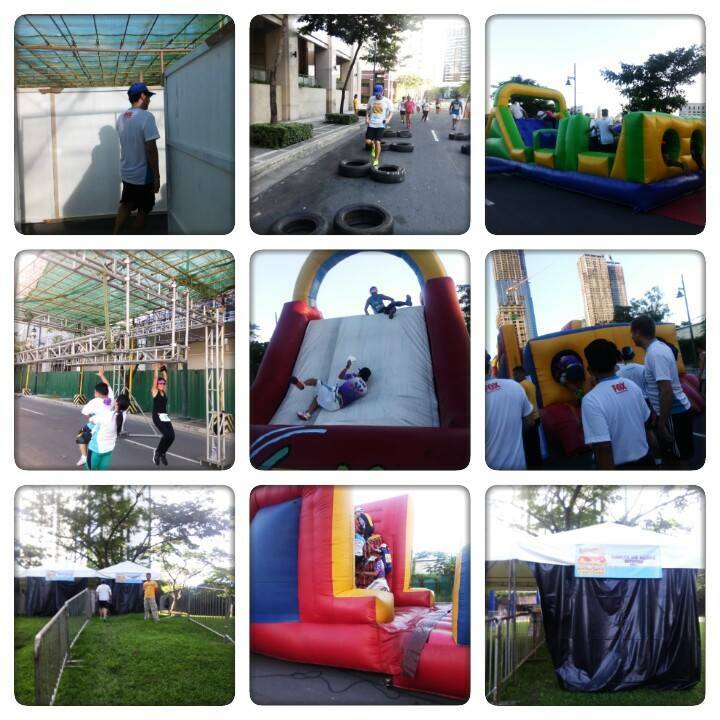 There are so many runners in different pace that we tend run at the side, at the walkways. Ino was so fast that he told me that we will just meet along the U turns. As I was running, I bumped in to an old friend, Joeven. I told him to just pace with me but he jokingly said “ayaw”, then he left me but unfortunately for him, I passed him along the Baywalk (hehehe). 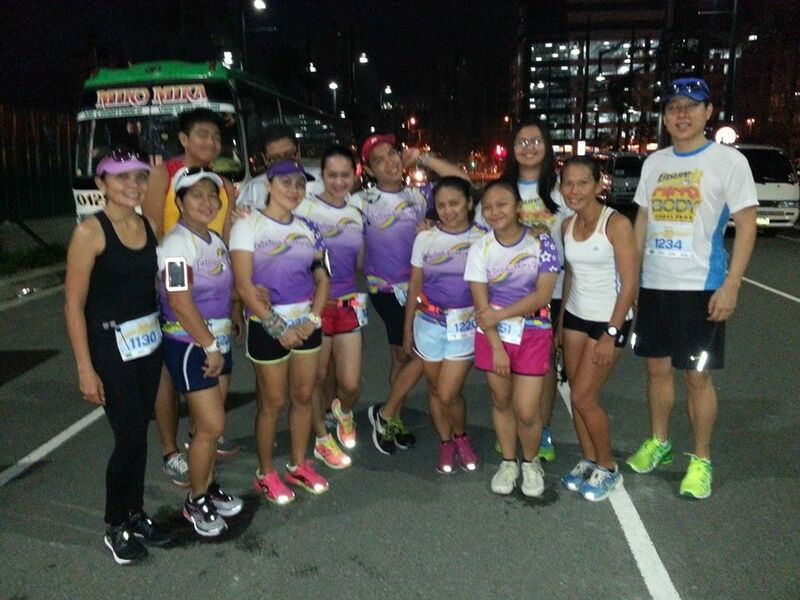 It was still early as some of the route is so dark especially along Buendia, Roxas boulevard. I tried to make a 7min/km but I easily got tired. So what I did was to combined it with easy jog for a minute or two. 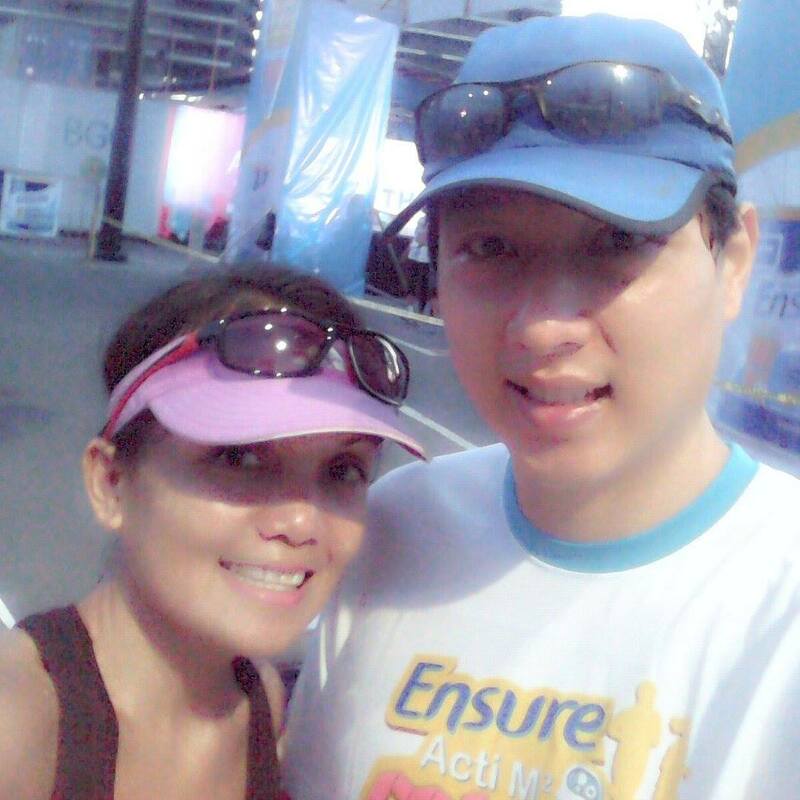 We passed through 2 flyover along Roxas boulevard. As my usual technique, I make my uphill 8-8.5min/km and my downhill is 6.5-7min/km. Man, that was exhausting but I managed to do that, thank you Lord. When I reached the Roxas Boulevard along Baywalk, I realized that I was in the almost middle pack of the first wave, yehey! Then I saw Ino coming from Luneta running along the first pack of wave 1. Gosh! He is so fast but looked exhausted. He just told me that he will finish the race then get back to me (our usual routine). 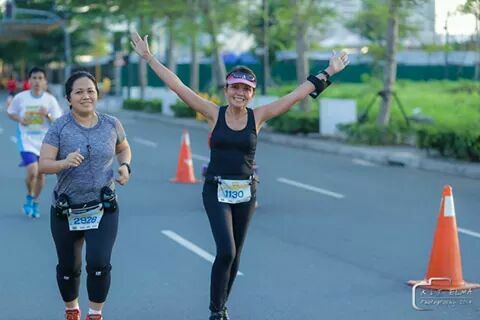 As I reached kilometer zero and make a U turn, my energy perk up as I was happy that I was running with the middle of the pack of first wave. Passing through the walkers of first wave. I am confident that I will finish the race before 2:30. When I reached the MOA area, I was calling Ino as there was no sight of him running back to me as his promise. I received a text message that he was in the police station at the event, handcuffed. I know he was joking, so I ignored that. As I make the right turn, I saw the finish arc and felt happy as the time was still 2:15 but when I got near the arc, I realized that I have to run another 1 km to reach the U turn and then reach the finish line. I was disappointed, I thought I would make it 2:20. Disappointed as can be, I felt my pace slow down. Along the last 200 meters, I saw madder Rikki Suarez running, swaying his hips like a Diva. I called him and run along with him but he outrun me as usual. I reached the finish line at 2:31. Oh well, at least I made it 1 minute faster than before. Hahaha… But my buddy was the best, he reached the finish line at 1:59… sub2 baby!.. Good job buddy! 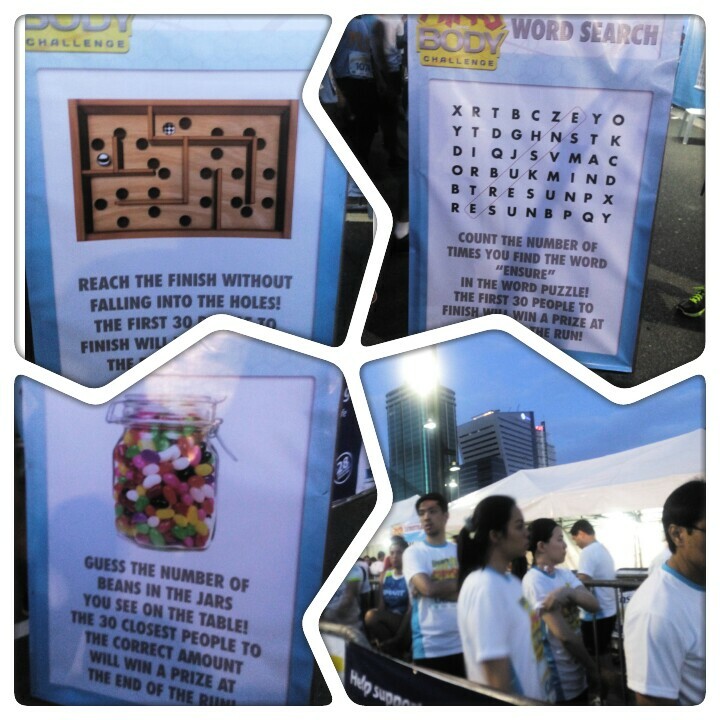 The usual complaint of runners, long line along the finisher kit claiming area but nonetheless, the event went well. I got to see my Diva friends along the line. I just met Ino along the line. We just took some pictures on the event. Ino did enjoy the Zumba dance, unfortunately, I had no time to take some pictures of him dancing… ridiculously.. hahaha (peace buddy). After that, we left as we are so hungry. 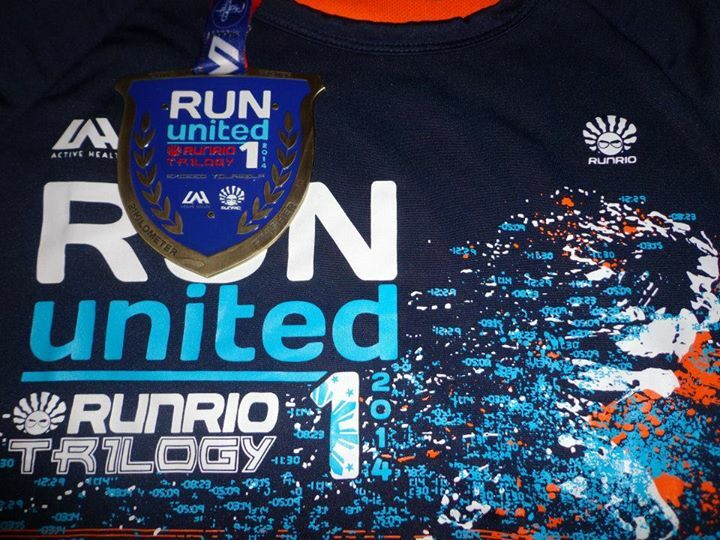 Run United Trilogy is one of my favorite event regardless of some other critics saying, regardless of some runners complaints, I still love joining this Trilogy as it was part of my running history. 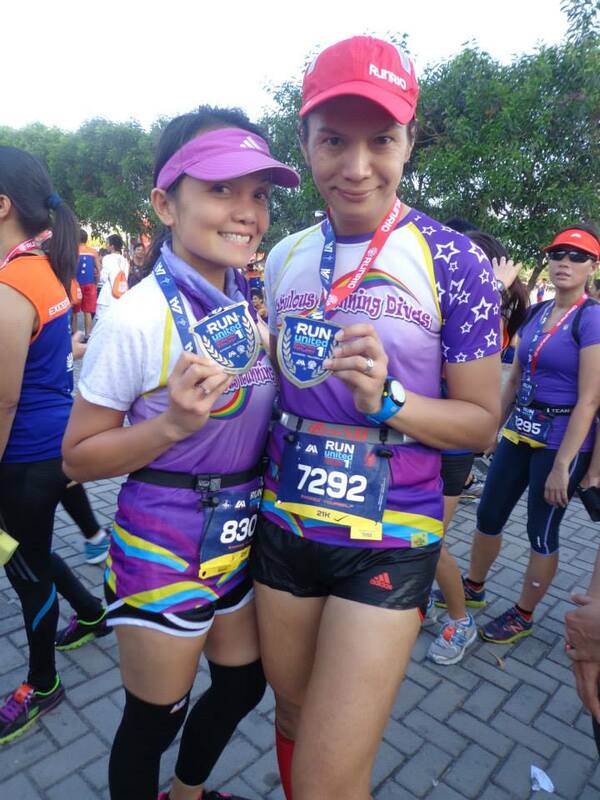 My first half-marathon and first full marathon at RUPM. 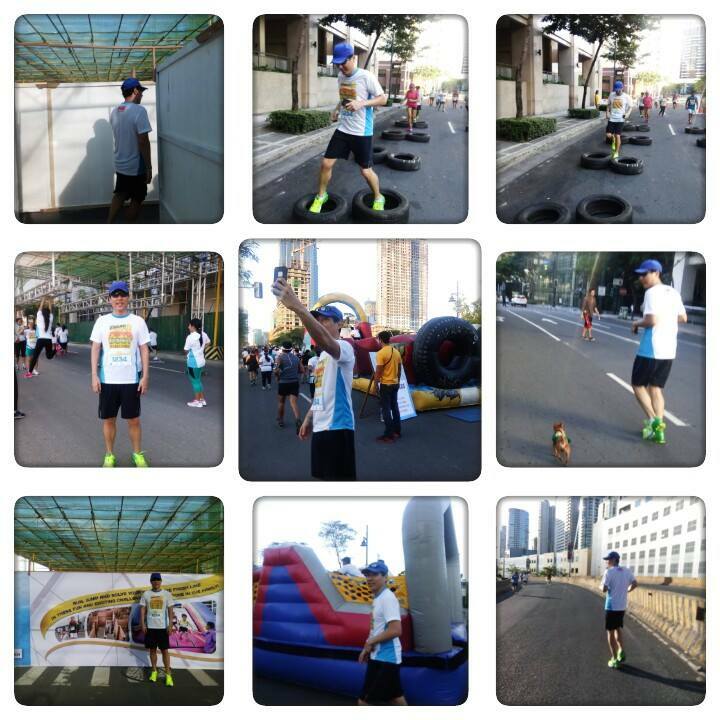 I have joined so many races with different organizers and I find Run United event was one of the best. 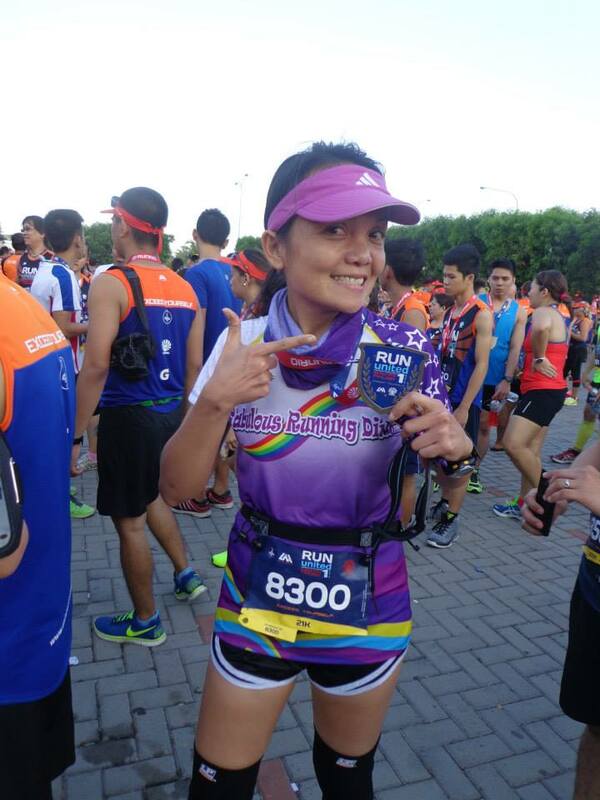 Nice singlet, nice finisher shirt, challenging medal completion, good hydration, nice after race events with good entertainment. I don’t regret rushing to any of the registration site, doing an amazing race-like adventure just to be able to avail for their prepaid card (no details please as this will cost another blog… hahaha). I am looking forward to the next leg, the Afroman distance. See you there guys!